Take full advantage of your family holiday; we have plenty of activities for children. At the Grand Hôtel Thalasso & Spa, everything has been designed for both you and your children’s wellbeing. A special area is open for kids’ activities (ages 4-12) during the school holidays. A fantastic program awaits the children with lots of creative activities, shows, games and entertainment, all supervised by our qualified instructors. Please contact the Reception Desk for Children’s Club opening times and days. “Just like the grown-ups”: a special kids’ menu is served for breakfast, lunch and dinner, and will enchant the children’s taste buds. Available at both the “L’Océan” restaurant or with room service. A babysitting service is also available upon request. For more information, contact our Concierge Service. As soon as the weather is nice, the fine sandy beach is protected from the waves and is perfect for swimming with children. Four beach clubs are open from early July to the end of August every day except Sundays. They welcome children ages 3 and up. The kids can participate in team games, do gymnastics, use gymnastics equipment, compete in contests, play volleyball, go swimming, enter swimming tournaments and take swimming lessons. 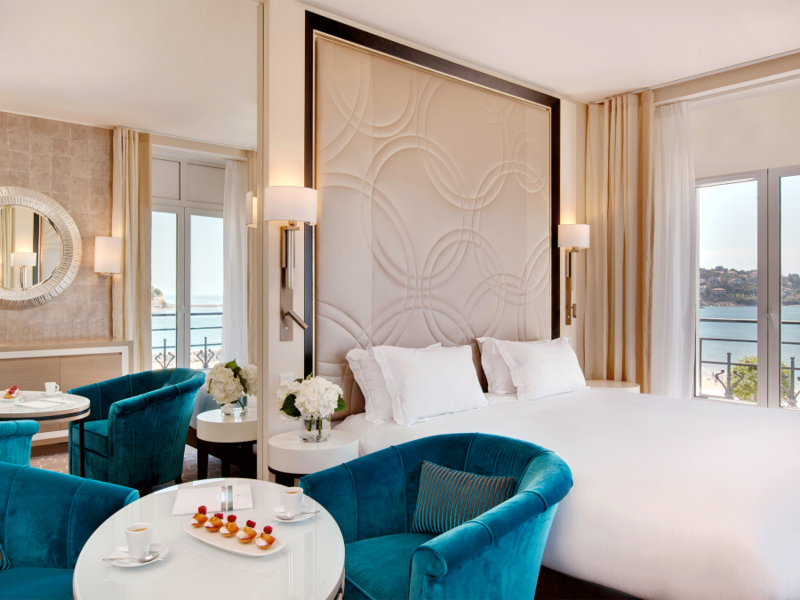 With an ocean or city view, settle into our peaceful, quiet and comfortable rooms that make the most of the space. Located on the beachfront and facing the Atlantic Ocean, experience the Loreamar Thalasso & Spa, an exceptional wellness center in the Basque Country. Discover our à la carte treatments, cure programs and special offers.